As if we didn’t have enough things to do online already (shopping, emailing, watching funny kittens) the internet has thrown us another time-sapping activity: Vine. Vine is a new twitter app that lets you produce 6-second long “looping” videos (as you’d think: they just go round and round) and post them up for all to see. You have to record the six seconds on your phone by holding your finger on the screen for a few seconds and then taking it off when you’ve finished filming. You can then film something else for a second or so, and again until all six seconds have been used up. At first I thought that this was a truly pointless app, but I have seen some very clever, very innovative little clips already. The human imagination never fails to astound me. If you want to use the app, it’s easy – if you’re already a Twitter user then you just log in using that after you’ve installed the app. There’s been a bit of a p*rn issue already, I hear, which is inevitable isn’t it? I myself have stuck to videoing the cat – now there’s a surprise. 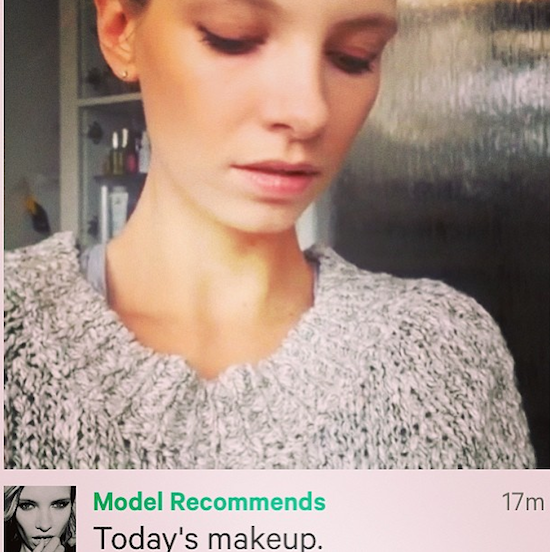 If you want to follow me then I’m “modelrecommends” and cat stuff is on “Mr Bear”.